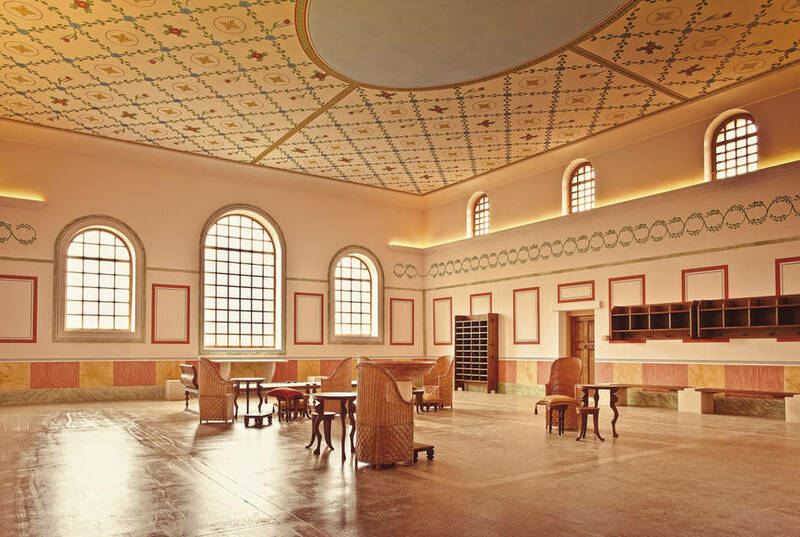 March 18 to November 17, 2019, daily 9 a.m. to 5 p.m.
A visit to Carnuntum brings the ancient Roman period back to life. The region boasts architectural masterpieces, romantic ruins and precious treasures only roughly a half-hour drive away from Vienna and Bratislava. The past begins here. Carnuntum, the imperial city, comes to life again. Its Roman City Quarter is unique worldwide owed to the reconstruction of major types of ancient Roman urban architecture: a townhouse, a lavish city mansion and public baths. A fourth building protects Carnuntum's so far only preserved floor mosaic. 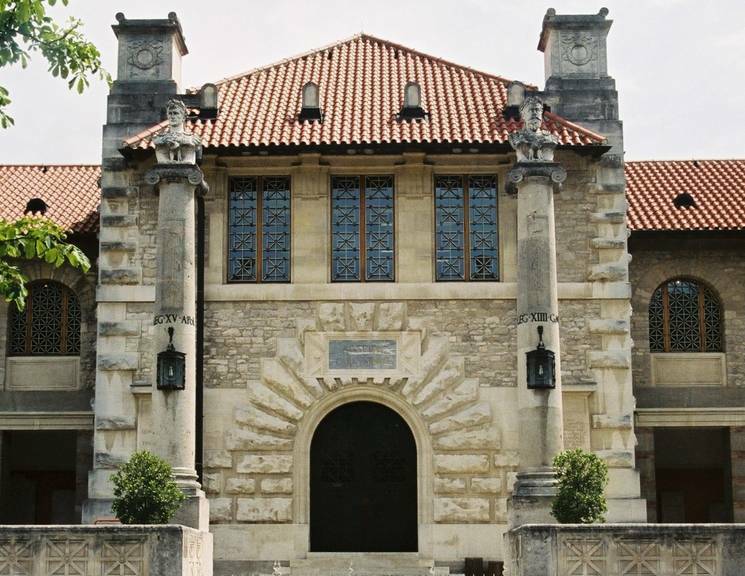 With this approach, the museum lets you travel back in time to the first five decades of the 4th century AD. 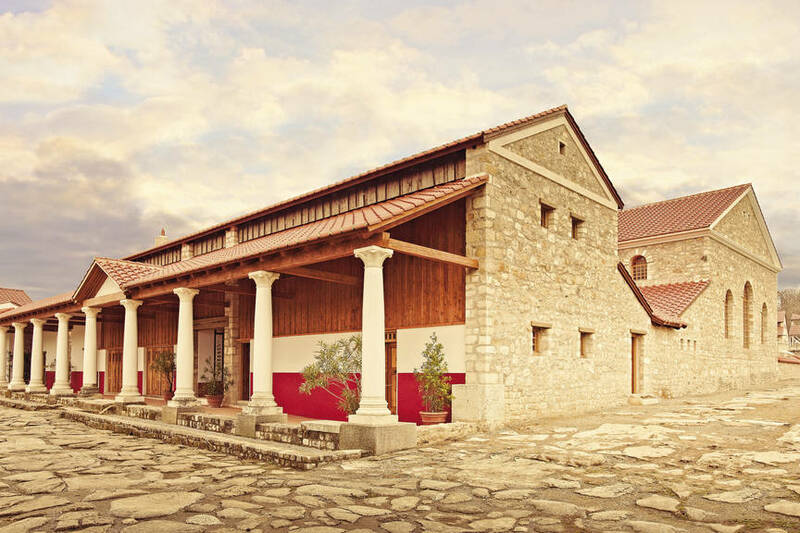 The new exhibition at the Archaeological Museum Carnuntinum outlines the Roman army’s impact on settlements, economy and social life in Carnuntum. “Rome’s Eagle” epitomized the Roman emperors’ universal claim to power. As a symbol of the supreme god Jupiter, it also represented the legions and the Roman military as a whole. An impressive arena and a small multimedia-exhibition at the first amphitheatre built in ancient Carnuntum conjure up the world of gladiators. The Grey Line, part of the HOP-ON-HOP-OFF-Bus network powered by Vienna Sightseeing Tours, operates between Vienna - Carnuntum. 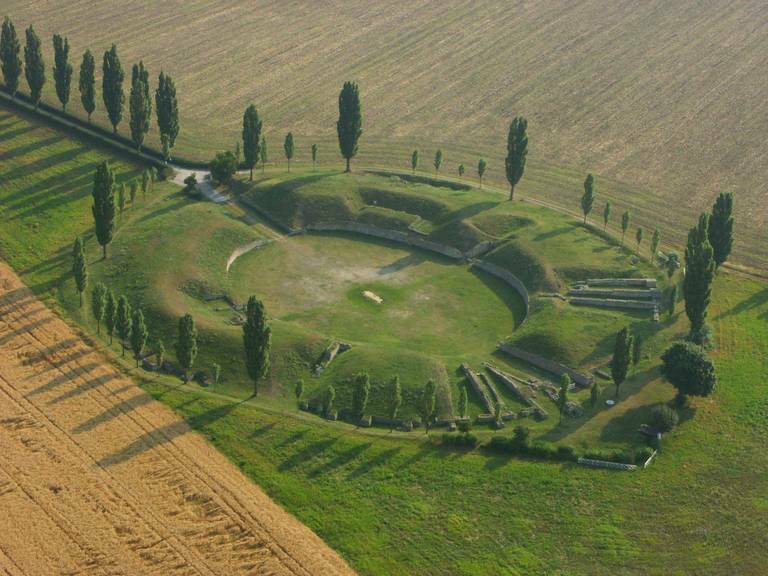 In ancient times the Military City’s Amphitheatre was situated in the vicinity of the former legionary city and can now be found right beside the local road L2026 between Petronell-Carnuntum and Bad Deutsch-Altenburg. Coming from the Roman City Quarter, the Amphitheatre is situated about 2 kms outside the town of Petronell-Carnuntum on the left-hand side of the road. Coming from Bad Deutsch-Altenburg, the Amphitheatre is on the right-hand side after some 500 metres, distinguished by three flags. Car park on site. In ancient times, the Civilian City’s Amphitheatre in Petronell-Carnuntum was situated outside the former civilian city. The remains can be viewed free of charge. A short path from the car park leads directly to the Amphitheatre. The Heidentor (Heathens’ Gate) was originally a triumphal monument erected under Emperor Constantius II in the 2nd half of the 4th century AD outside the city. Exit the car park on the left and follow the road as far as you can. Turn right, go under the bridge and the Heidentor can be seen after about 500 metres (parking space for coaches too on site). The Heidentor can be viewed free of charge. The sun-lit restaurant situated directly on the Roman City Quarter’s premises offers a cosy ambience. 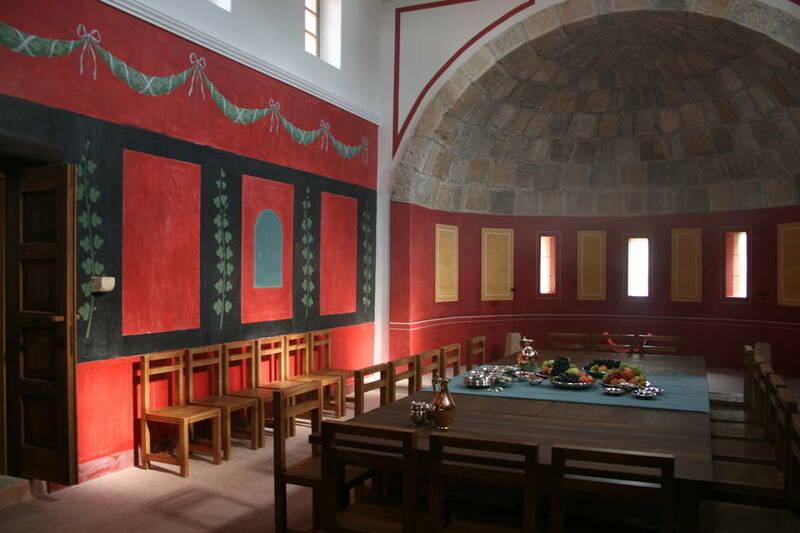 Its staff spoils visitors with Roman, modern or Mediterranean culinary delights. The major museum shop located in the Roman City Quarter offers a large assortment of unique merchandise. Next to a variety of specialist literature on Roman history, replicas of coins and emperors’ portraits as well as objects of Roman everyday life are available. The shop is open every day from 09 a.m. to 05 p.m. A shop on a considerably smaller scale can be found at the Military City’s Amphitheatre. Originally mistaken for "palace ruins", these thermal baths were the largest throughout the civilian city. In ancient times, they were an extension northwards of the city forum. The remains of the large thermal baths are best accessible from the Roman City Quarter. Left of the entrance to the visitor centre, a private road bordering the old castle walls leads to the excavated baths which can be viewed free of charge. Walking time: 10 – 15 min.